Welcome to the fully furnished apartments ‘Standing Stone’. 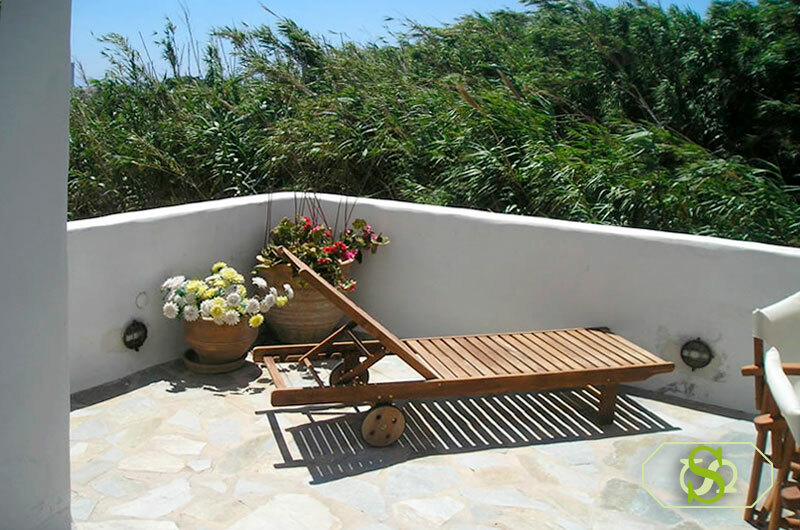 Our small family complex is just 150 meters away from Kionia beach on an unpaved path, truly situated in nature, full of osiers, oleanders and reeds gently swaying that reward the visitor with their quaintness. Listen to the melodic tweet of birds and the rustling of leaves in the air. 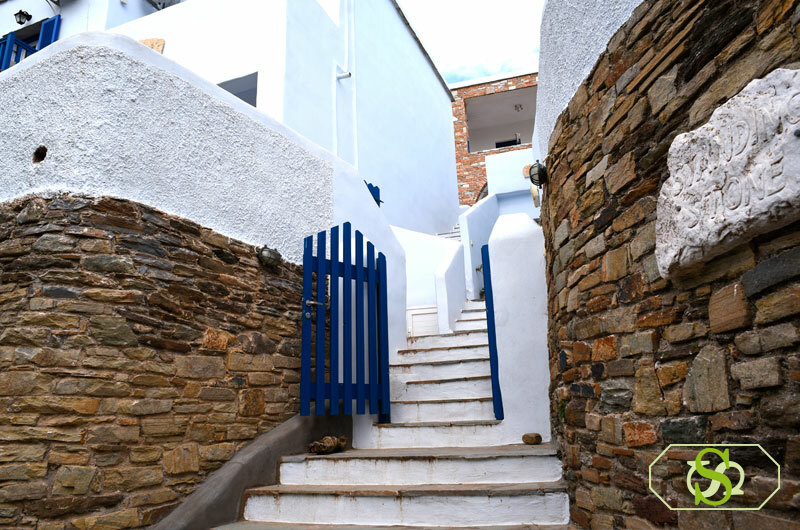 Moreover, it provides activities to trekking lovers since the path leads to one of the most beautiful trails with magnificent view that leads to Ktikados and Chatzirados villages. If you love nature and trekking we are the ideal solution for you. 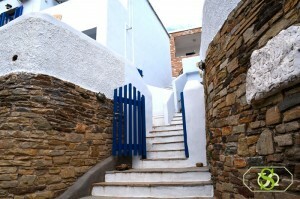 We can give you information for all the footpaths on Tinos and other activities. If you really want to escape routine and to enjoy the wind and bird sounds, perhaps, you will have to walk in the unique path through the reeds. Due to this particular natural access it is not recommended for people with mobility problems and aged ones. 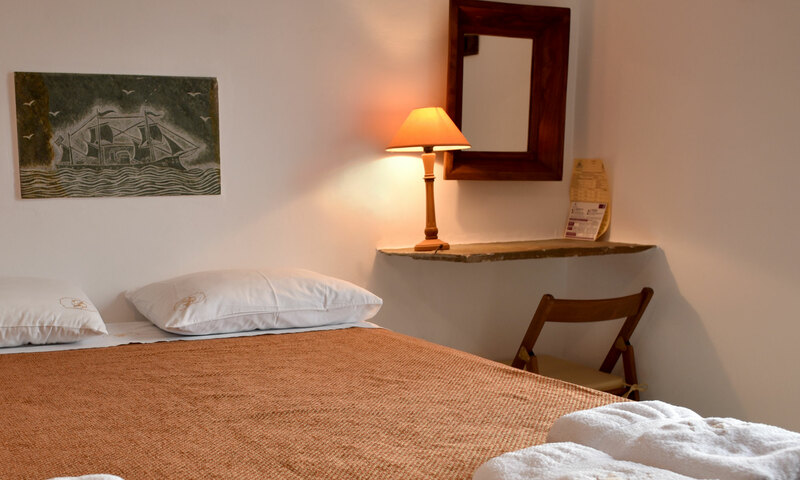 Pets are not allowed in the apartments except for dog escorts for vision impaired people and companion animals for children and special skilled people.